One byproduct of the exchange that followed Rick Poynor's recent post on Neville Brody was the chance it gave us to revisit two classic pieces of critical design writing. One was Brody's collaboration with cultural critic Stuart Ewen, "Design Insurgency." The other was Tibor Kalman's collaboration with writer Karrie Jacobs, "We're Here to Be Bad." Both were scathing analyses of the relationship of the design profession and the forces of corporate commercialism. Both were calls for awareness and resistance. And both had their roots in a conference that occurred fifteen years ago in San Antonio, Texas, where Brody, Kalman, Ewen and Jacobs all spoke: 1989's "Dangerous Ideas," the third biennial conference of the American Institute of Graphic Arts. John Emerson, the Design Observer reader who sent the above link to his online version of the Ewen/Brody piece, said in an offline exchange, "I had no idea the AIGA was wrestling with (or at least presenting) these ideas back then," and added, "It makes me wonder how far back these ideas go and how the debate has changed." Each AIGA conference is, to a certain extent, a reaction to the one that immediately precedes it. The 1987 conference in San Francisco was criticized as lifeless and flat; one of the main stage presentations was about what kind of health insurance was right for design studios. At an AIGA board meeting in its aftermath, the two board members who were most critical of it were the renowned Milton Glaser, and a younger designer who was more of an unknown quantity, Tibor Kalman. Dared to put up or shut up, they were appointed to co-chair the next conference. The conference itself had its ups and downs, as all conferences do. But unlike the previous AIGA convocations, which had alternated between the celebratory and the practical, there was a recurring note of criticism and self-doubt. Stuart Ewen provided his critical analysis of the social, economic and political power of the "style industry." Erik Spiekermann's presentation was entitled "Hamburger and Cultural Imperialism: A World View." Karrie Jacobs began her talk on environmentalism by telling the audience, "Everything you do is garbage." And there was one, oddly recurring motif. 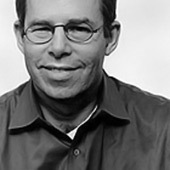 Earlier in 1989, Minneapolis's Joe Duffy had sold his design firm to the then-high-flying, publicly-traded British design firm The Michael Peters Group. In the wake of that sale, the merged entity had taken out a full-page ad in the Wall Street Journal that simultaneously proffered their services and made a case for the value of design to business, including the claim that "...as more and more competitive products become more and more alike, a good package can become a package good's best if not only point of difference." The Duffy ad was the talk of the conference. I suspect the rank-and-file was actually rather impressed with it. I certainly was. No other design firm had ever done anything as audacious as taking out a full page ad in the Wall Street Journal, for God's sake. But to the conference organizers and speakers, who had come to San Antonio with weapons fully loaded, the Duffy ad gave them what they didn't have until that moment: a fat, juicy target. As I recall, Ewen and Brody both mentioned it. Tibor read the passage quoted above from the stage and illustrated it by juxtaposing cans of Diet 7-up and Diet Sprite. Graphic design never seemed more trivial, and it set up his ringing conclusion: "We're not here to help clients eradicate everything of visual interest from the face of the earth. We're here to make them think about what's dangerous and unpredictable. We're here to inject art into commerce. We're here to be bad." It all sounds legendary now, but as I remember it, the crowd wasn't as galvanized as you'd think. People were baffled by Stuart Ewen's Marxism and irritated by the fact he didn't show any slides. Tibor's ringing conclusion failed to get a standing ovation: the audience had been hoping for something funnier. And Brody, the closest thing we had then to a rock star, wore the requisite black but spoke thoughtfully and quietly about our role in society, not about how he did those cool Face covers. Ewen's keynote was called "Design Notes for the New Millenium." Like the whole conference, the title was ten years ahead of its time. Dan's response captures the event, somewhat. I remember the event too, because I was called out of a breakout session to referee the cockfight in the round. It really did go nowhere, and as Michael recalls, they were both essentially doing the same thing*. But I would argue that rather rather than feel guilt Tibor simply couldn't abide Duffy's blatant "sucking up" to the corporate world. *btw, I was surprised that Michael made the comment that he mentions in his post, but he's always been a provocateur. Nonetheless, even thought the fight ended in a draw, it was not a waste. It certainly stimulated further discussion. Tibor and Duffy were called back for a rematch in the offices of Print magazine. The so-called Tibor/Duffy Debate became an occassion for considerable circumspection. Duffy was very articulate and came prepared to defend everything he did on the grounds of good design being its own reward (and virtuous for society too). Tibor was less prepared with cogent arguments or rebutals, but his honest emotionalism was compelling. After the debate was over, we left the building together and Tibor nervously asked me (I was moderator) how I thought he did. I told him I that point for point Duffy held his own, and in fact, seemed to be more convincing. Tibor was noticeably disappointed. And yet, Tibor triumphed, perhaps in a less quantifiable Kennedy-Nixon kind of way. I don't think he was guilty for being a graphic designer with clients, but rather he was mad that clients forced designers to turn themselves into business types and sell out when it wasn't necessary to do so. Tibor's triumph was that it emboldened him to continue the fight. I didn't always agree with Tibor's strategies, but I accept that he truly believed that design had curative properties. Style was a function of a servile profession, and he felt designers should contribute (indeed insist on) substantive ideas rather than surface gloss. Tibor's adoption of "vernacular" was rooted in this idea (even though it became something of a style). And he violently objected to having his interest in vernacular lumped together with Duffy's retro mannerisms. Anyway, Dan. I don't think the story really ends on a dour note. Tibor went on to follow his conscience and influenced a lot of designers to see beyond professionalism as an end in itself. By the way Milton Glaser was co-chair of the San Antonio AIGA conference, and he had been riding this pony for a long time before Tibor. I was on their committee with Michael B. and I know how much the two of them wanted to alter the mindset of conference goers. Milton invited Stu Ewen to speak, and his talk was, well in an odd way, ahead of its time in terms of the level of understanding in the design community. Even I remember complaining that the Marxist line alienated many, but I think in retrospect it was an excuse. There wasn't really that much Marxist mumbo jumbo, but instead Ewen was talking about what we know call "culture jamming." For me it was the first spark of a somewhat more activist, heady time, that I suggest worked its way through the design field and ended in the backlash against First Things First over a decade later. Many thanks for the frank recap. Three cheers to Milton and Tibor for shaking things up and challenging the complacency of the previous event. 1989 was a turning point in so many ways: the fall of the Berlin wall, the end of apartheid in South Africa, the protest and violence of Tienanman Square, ACT-UP disrupting the New York Stock Exchange... It was also two years after the stock market crash that brought an end to the go-go 80's boom. Seems like a good occasion for designers to step back and take stock. I also find many of the ideas expressed in the Ewen/Brody piece echo the First Things First manifesto of 1964, 25 years earlier, and, of course, a decade later in 2000. But I certainly do not think these ideas ran their course or ended in 2000. Steven, were you not at the last two AIGA conferences? The ones on civic participation and sustainability? I definitely see the org grappling with these issues (and their backlash) in the last few years. There seems to be a deep tension: celebrating and exploring design in the context of the world vs. as a purely aesthetic and commercial endeavour. Perhaps a useful analogue is the American Institute of Architects which struggled with issues of sustainability (and its discontents) for many years, before finally embracing it as a core part of what they do. I hope the AIGA will do the right thing. I agree with John that 1989 was a beginning, not a false start. First Things First 2000 (which had its genesis in a sickroom conversation between Tibor and visitors from Adbusters) has had its critics (me among them), but it certainly crystalized the concerns of the generation of designers who came of age amidst the bounty of the dot-com 90s. I'm not sure, Steve, there has actually ever been a "backlash" against it, more like second thoughts and elaborations. FTF2000 also helped inspire the shift in tone from the excess of the 1999 AIGA Las Vegas conference to the one that followed in Washington DC, "Voice." Even before 9/11, that conference was to have social responsibility as its main theme. Tibor was no longer with us by then, but Milton was, and gave the only speech that got a standing ovation. The Tibor/Duffy rumble is a great reminder of the freedom designers have to scroll between profit and meaning in their work. Not only that, but they can change their mind about where they would like to sit on that continuum. Tibor Kalman continues to inspire me not so much because of the specific choices he made regarding that continuum, but because he flaunted his ability to choose with such a unique combination of glee and self-loathing. His guilt and his recklessness seem, from my point of view, to have been a sincere attempt to wrestle with the responsibility that comes with freedom. I'm reminded of Ralph Caplan's quip in the last AIGA conference, on the repeatability of themes - he referred to a conference on design and sustainability, similar to the AIGA conference, 50 years ago. Some issues don't die. I wrote a review of this last conference for the Design Institute, and asked a wide range of designers for their feedback. There still seems to be considerable unease on the part of many when design and design talk travels to far from its formalist path. Even Rick Poyner did some hang-wringing on a recent Design Observer post about Bruce Mau. I guess Tibor's gift was his humor and irony: his message is an easier pill to swallow for that. Thank you, Michael! Your article helped me to write a little historical work at university. I will write something about it in my journal soon.